Sartell Vibe offers a variety of shakes and teas that are perfect for every palette. Malibu Sun Tea and Sabre Tea are available every Monday-Friday. 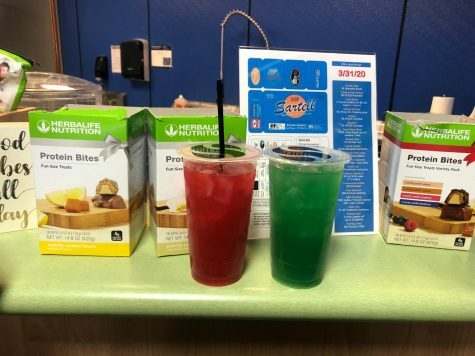 If you are in need of a tasty snack but don’t want to deal with the guilt of eating a super sugary sweet, stop into Sartell Vibe and get your very own protein shake and tea. They offer a huge variety of shakes, teas, and protein filled snacks to satisfy your every need without the sugar and fat. The staff has no problem recommending shakes and teas that would be good to try. 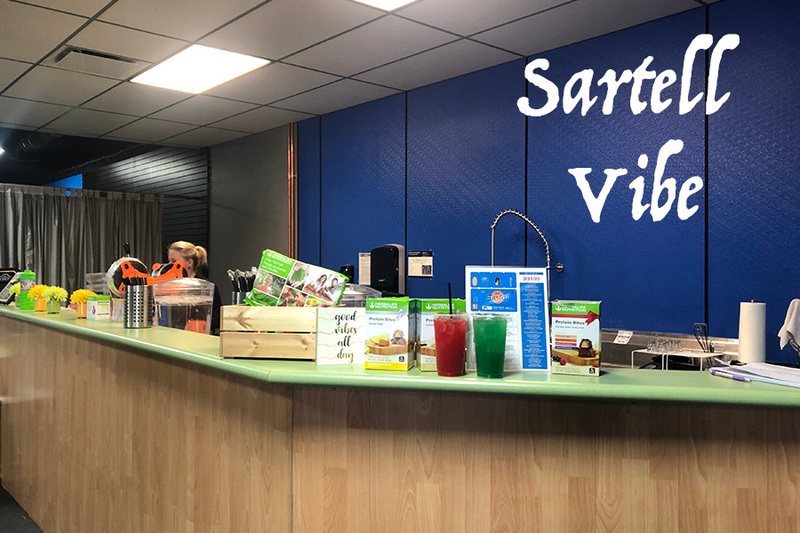 Sartell Vibe also serves fun drinks, like glitter teas, Christmas inspired shakes, jello shots, and fat burning shakes on special occasions, so make sure to follow their Facebook and Instagram for more updates. All the staff at Sartell Vibe have a great understanding of the products they sell and have no problem answering any questions you might have. Sartell Vibe has gotten 5 out of 5 stars on Facebook and the reviews are outstanding with over 700 likes. They also give away a free limited edition shake every week so make sure to follow their facebook and stay tuned for their shakes and teas of the month. Sartell Vibe also offers VibeCash. VibeCash can be earned by tagging Sartell Vibe in a social media post of bringing in a new friend, these both earn you one dollar in VibeCash. 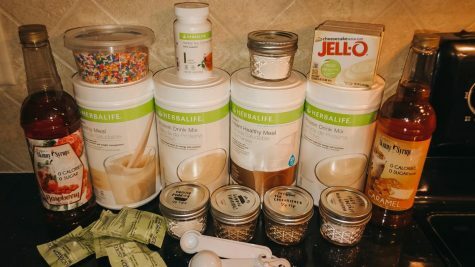 Wellness coach, Hannah Wolff, shares her journey with herbal life. At home Herbal Life products that help you save money. Sartell Vibe offers drinks that help you stay healthy and happy at a reasonable cost! Not to mention it is right here in Sartell so it’s an easy stop before an early Monday morning. Sartell Vibe Owner, Sonia Nordmann, has lived in Sartell for over 20 years. She said, “I am extremely involved in the community so I knew my business had to be opened in Sartell.” Sonia elaborated a little more on her journey with Herbalife as well. Sonia said, “I have been on the product for three years and have lost 25 pounds. I lost the weight and I am still losing weight.” Sonia Nordmann is very active in the Sartell community and was up for citizen of the year last year. Her great customer service will live you wanting to come back every day. Sartell Vibe is located at 234 Pine Cone South Rd (57.93 mi) Sartell, Minnesota 56377. Sartell Vibe is open Monday-Friday from 7:00 am to 4:00 pm. Sartell Vibe is perfect for Sartell High School students because is super close to the school so make sure to stop in before school sometime. Sartell Vibe’s positive and encouraging environment will surely leave you wanting more! 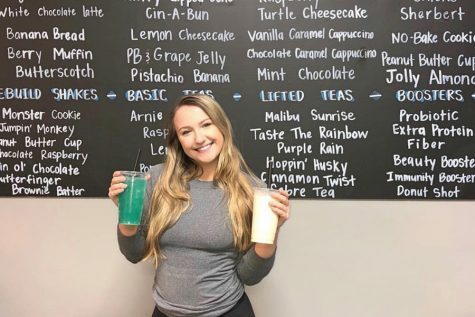 If you aren’t sure what to get, ask the staff and they will recommend their favorite shake and tea for you!